This an excellent cheat sheet. Works very well. No need for recipes, I’ve got ratios! Highly recommend you read the book Ratio to understand how great this app is. Knowing basic ratios allows you to cook on the fly, to tweak dishes and make them your own. Example: rice. Liquid to dry rice 2:1. I’ll make a chicken &sausage jambalaya with two cups of rice. I’ll need 3.5 cups liquid plus the .5 cup liquid the onions, bells and celery will throw off. I’ll sauté up a pound each chicken and sausage, sweat the vegs and the stock, and the rice. Ka-BOOM! I love the app, but it's incompatible with iPhone 4.0. Very useful but would be satisfied if this app, as it is, were free. I'm tempted to say "where's the beef" but I won't. Disappointed. "The importance of bug testing." Very disappointed in this app, especially at $4.99. The custom ratios all reset to 1:1:1 and 20 as a unit. 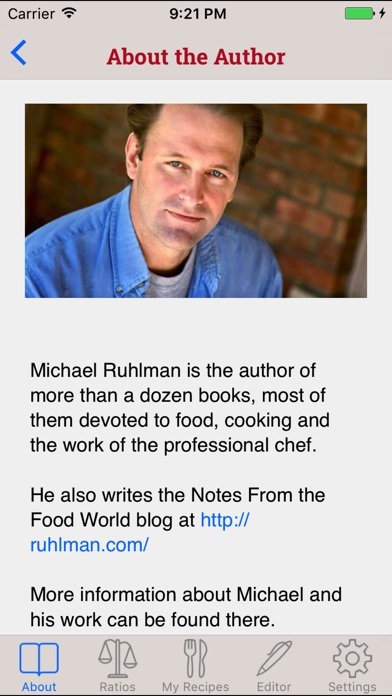 Am a big fan of Ruhlman and this is not up to his standard. 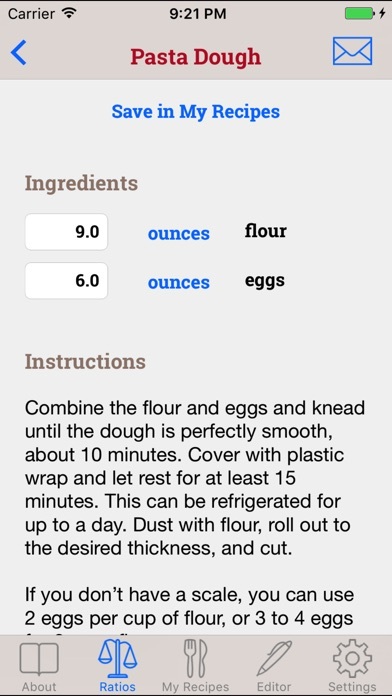 This isn't a proper cookbook but for quick on the fly baking tips this app does nicely. Hasn't had a substantial update in ages, iPad version sorely absent. Haven't had any cooking disasters with any of the ratios, however when baking bread I've referred to proper recipe books. Have had fairly good results with on the fly pound cake, crepes, biscuits and a few others. Overall I'd recommend despite lack of updates and price. Why is this not working on my Touch? It loads fine, but any time I try to change the measure (ounces to grams, or something similar) the app quits and takes me back home. I've sent a note to the support email but no response so far today. I'm bummed and I sincerely hope that there is a fix. I will happily post another review if and when I get this running properly. This app has so much potential to be great. First off, tell me the number of eggs I need, not the measurement of egg. Second, I want to put in how many servings of something I want for an estimate of how much I should make. Third, please change the cups measurements so that it isn't in decimals. Change these and you are well on your way to a five star app. Until then, not worth the $4.99 because it's just too difficult to use. The app itself is awesome. I have used it for years. It seems to function as it always has. The photos in the new version are black and white and I don't believe add to the app. Interesting choice as I think it affects the aesthetics of the app. Function is great. New look not so much. I love the idea of ratios in cooking and knowing the proper ratio for what you're making is empowering. 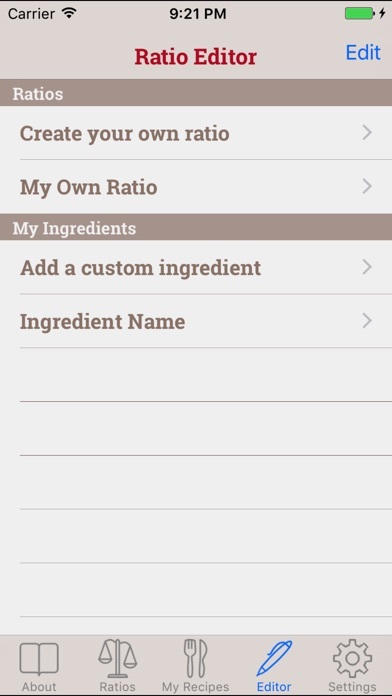 What would make this app even better is the ability to enter your own ratios for types of recipes that are not included with the app. I'm constantly tweaking my ratios in my own recipes and it would great to be able to use this tool to make subtle adjustments without having to bust out the calculator and a piece of paper. The idea of a baker's calculator for the iPhone is a good one, but what good is being able to save your own recipes if you can't even add ingredients? Useless. Great companion for the book! I like what Michael Ruhlman does, but a little surprised that the last update was Sept 2010 and that he has not yet built in an upgrade for iPad users. I hope existing Ratio users will be able to upgrade when an iPad version is available. Very few recipes and doesn't allow you to add additional ingredients or recipes. It will measure the main ingredients for one of the app's recipes but you're on your own for the measurements beyond those. Over priced for what it does. I will be a GREAT App when Ratio alowes me to enter my own recipes and save them and back them up to my Desktop. I would be ok with sending my saved recipes to myself via email. Or maybe use iPhones notes that get synced into the "Mail" cliant as a note. Other wise it seams to function fine. 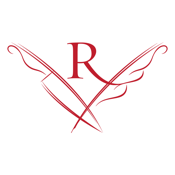 Ratio's support seams to be a comments section that can be found with a link on Ratio's website that leads to Michael Ruhlman's site. It would be great if support was obvious! This application does not allow you to add your own recipes from scratch. I thought it would take standard ingredients and convert them to ratio recipes. This does not do that. You are stuck with different amounts of the same recipe that came with it. Good companion for the book. Yes, you can write these ratios on notecards, which is what I did prior to getting this ap. But there are a lot of things the IPhone does that can be done on a normal phone, a tab of paper and your laptop, right? Don't expect miracles from this ap, but if you have read the book, it's nice to have the ratios and basic techniques in one neat spot with a place to jot down recipes you've tried. Without the book, i think this ap would be confusing and uninspiring. As an ending thought, Everyone deserves a scale. My oxo one cost me 25 bucks and I use it daily. It makes baking so much quicker and cleaner-no more dip and level business, I get irritated baking with measurements now! LOVE the book. I use it all the time. The app on the iPhone is great when I am at the store and need to figure out what to buy. It would be much better if they made it to an HD model for the iPad. Like others said, it would be better if you could get the egg measurements as a per egg, but volumetric measurements are the more professional way to cook. I would love if they added more recipes from the book too. If you like the app, you will love the book. Too minimal for a $5 app. I regret this purchase. Love the book and love this app for everyday kitchen use. Do yourself a favor by buying the app and then getting the book. This app will make much more sense after reading the book. This will take you from a good cook to a creative great cook. I loaned my book to someone and it disappeared and I thought this app might be a decent substitute. I couldn't recall the oven temp i wanted for a bread recipe and figured it would be in the app, WRONG. The ratios are fine from what I saw and remember from the book. However, relevant details are missing like oven temps. As I went through the app some more I found it to be disappointing, nothing compared to the book. It is only good for the actual ratio. There are no supplementary recipes, which the book has and I thought might be here. Connectivity to the blog is still non-functioning and none of the suggestions from previous comments were taken. Save your money, buy the book! No longer iOS 3.1.x compatible. What a crock. Was a great app. There was no reason to take away iOS 3.1.x functionality in Ratio v. 1.0.2. 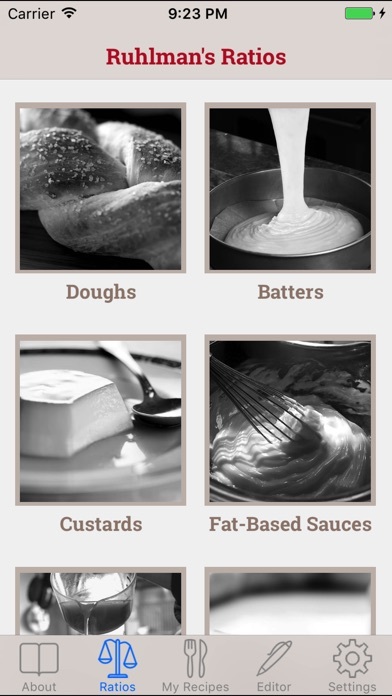 This is a great app for improvising cooks and those who just want the basic foundation to build one's own recipes on. Plus they finally fixed the discrepancies between the description here, the in-app introduction, and the blurbs for the actual book. The underlying tech could use some improvement. The primary applications seem to work well: it's a ratio app and it needs to do math and it does. Some extras are a bit off. They finally got around to the iPhone 5 screen, but in early 2014, it really should be fully iPad compatible. The iPad is much better suited for a cooking companion than the iPhone (yes, these are simple formulas that will ultimately be committed to memory, but not immediately), and now that the mini is available there’s a clear middle ground between iPhone and full-sized iPad that should be supported. The transparent navigation tabs and (to a lesser extent) title bar are a mistake. When text is behind them, the tabs are rendered unreadable. This cannot be intentional as no one would have done this on purpose. Retina graphics would be nice, too. Create fully iPad-compatible app and this will be a five-star app. The content is beyond reproach. Ruhlman Enterprises should bring the app up to its level. Love the concept and the pie chart presentation of ingredient proportions. Totally suits my style of cooking, which is to take a recipe and improvise from it. This allows for that so easily: to subsitute one fat for another fat, etc. Unfortunately, I'm used to measuring ingredients by standard American measuring cups, and seeing ".2 cups" of this to ".8 cups" of that isn't very useful. I know weighing ingredients, especially for baking, is better... but I'm not quite there yet. In any case, I'd say better to eliminate the "cups" unit option than to have decimal equivalents that don't translate quickly to standard fractional measuring cup sizes. Since the update for iOS 4 this app has been broken. Changing more than one item (e.g. quantity and units) results in a crash. This makes it basically useless. Most of the functionality of this app works well, but please beware - while you can make your own notes on a recipe, the notes are erased once you exit out of the app. Not so great for creating your own recipes. In need of an update. Not worth $5. I have this book and I thought there'd be a little more to the app, little skimpy for the price. Too expensive for what you get in this app. I expected more from the brand. I loved the book but this app is a rip off. Not all ratios are represented and you cannot add your own. It says that you can save your own recipe but the ingredients have to stay the same as the ratio it came from. I cannot add a gnocchi recipe ratio for example. This app is worth .99 cents. I just finished reading the book this week an had already been jotting down notes as I went along. I saw this app online and I was thrilled because it's going to save me a ton of time over making my own charts! This app will do nothing for those looking for a recipe book... That's the whole point of his book... With these ratios there's never a recipe required! Five dollars? You could fit the information this app contains on a double sided, letter sized sheet of paper with 12 point type. I like the concept and it has its uses. But for $5 I'd like to see how these ratios adapt to different dietary requirements, or something a little more encyclopedic in its scope. For one thing, it's extremely French classical in its viewpoint. Wish I'd read the reviews prior to purchasing. The concept behind ratio is good. The implementation...no. An app that isn't backward compatible with previous OS versions or other platforms (iPad) is simply shoddy work, something you'd expect from a novice building a free app, not a paid-for app that Michael Ruhlman is willing to attach his name to. I got this app after reading the book and I LOVE it. 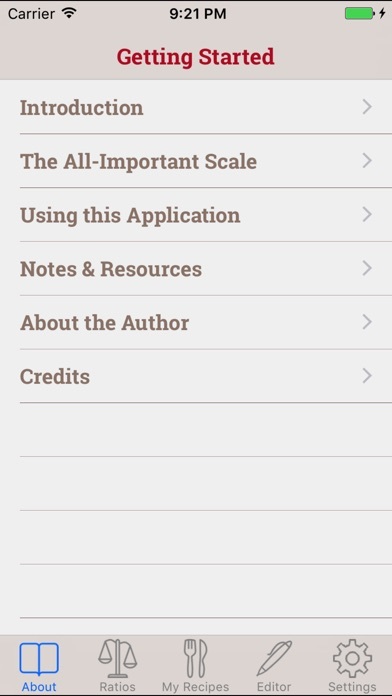 Yes, you could just write the ratios down out of the book, but the app also has a calculator and some details and tips for the different ratios. If they can fix it so that it will stop crashing on my iPhone 4 it'd be great! I like this way of cooking. It makes a lot more sense than traditional recipes. The only thing I would say is that it needs more formulas. The first thing I wanted to do was to make a ratio for coffee, but "coffee" isn't an ingredient and you can't add custom ingredients. It also kept defaulting me to 20tbs and 12oz instead of 1tbs and 6oz like I kept attempting. Not sure what's going on here but I'm pretty bummed that I spent $6 on this app instead of a latte. ): Maybe the preset ratios will come in handy this weekend for cooking food rather than brewing joe. There was no reason iPad support had to be withdrawn. This app is dreadful. There is virtually no content. I can't believe how many people have been duped into purchasing it, myself included. I would really love a refund. But overall it's too limited for the price. I used it for a couple months and then deleted it from my iphone. I'm doing culinary art right now. I thought this app have tons of important ratios. However, it contains too little ratios for an app, which costs me 4.99$. I recommend to buy a proper cooking book instead. There are more ratios than this little app. Don't buy it. Waste of your value money. Complete waste of money. Don't bother with this app. Being a culinary student and a fan of the book, I am very satisfied with this app. I was about to go through the process of making flash cards to memorize the ratios, then I found out about the app. WAY better than anything I'd of made. The calculator is awesome! My only grumble (very minor!) is that the graphics aren't updated for the retina display. This app is a must for culinary students or any fans of the book. In the recipes where sugar is included in the ratio, it has 1 cup of sugar weighing 13.2 oz when it should weigh about 7 oz. I also had a problem in the About window when I tried to read blog entries. An error window popped up saying "Ratio can't connect to the internet. You need to be online to read the blog entries". I didn't really understand this since I had internet access on my phone, but the worse part is that the window kept popping up when I hit Ok. I couldn't access the rest of the app, I ended up deleting it from my phone and reinstalling it.